I recall feeling that way so many times. Like when I see “small” things like bribes being taken and given in front of me. That gnawing feeling, when people in your area steal water through suction pumps and you are the idiot who doesn’t do it because you think it’s wrong. Worse still, is the feeling you get if you stay quiet when you see a close relative scolding a small child, working as domestic help, and holding back his salary as a form of reprimand. When someone in a position of power refuses to get their baggage scanned at the airport and breaks the queue conveniently, while the labourer going to Dubai in his chappals is met with dismissive glances and extraordinary checks. Killers and goons go scot-free. The weak relent, simply because there is no option. The mightier becomes stronger. The system supports it — the jungle raaj, where might is still the biggest right. An initially reluctant and then habitual silence follows. We don’t say anything to anyone. Not even politely. The world looks on. Or looks away. Imam Hussain (ra) could have looked the other way, but he didn’t. Brought up in the lap of the Prophet (pbuh), indifference was never an option. Imam Hussain (ra)’s grandfather taught people to help both the oppressed and the oppressor – the oppressed by taking up their cause and the oppressor by trying to stop him/her from being unjust. And so Imam Hussain (ra) chose the tougher path. The road less travelled. The 9th and 10th of Muharram, year after year, reminds me of exactly this. It is irrelevant whether I am Sunni or Shia. I say this because that is what people quizzically ask me whenever I express love for the Prophet’s (pbuh) family or talk about lessons from Muharram. Coming back to what today means to me, what I do know is what I need to know. I learn this from what happened at Karbala, among countless other lessons, that the grandson of Allah’s beloved (pbuh) stood firm on his ground and chose to be martyred rather than live a life where one makes the choice of brushing injustice under the carpet and pretending it never happened. There is a story I remember reading in context of the explanation of a part of the Quran. It is the story of a people who disobeyed God in a crucial matter and consequently faced punishment. The story tells us that in that town, there were three groups of people; those who defiantly sinned, those who did not sin but remained silent and, those who did not sin and also tried to persuade the disobedient ones to stop. In the end, God only forgave the third group. For us as individuals and as a nation, speaking out against structural violence, systematic injustice and oppression has never been so important. Our related apathy and indifference has never been a bigger offence. When silence becomes habit, submission becomes the norm and indifference reigns. Consequently, injustice and tyranny rules to the detriment of a nation. What’s important, however, is how we make our voice heard. A lot of tact, wisdom and sincerity is required, as is empathy. As I entered work today, I overheard at least three different conversations on different tables where small groups animatedly talked about what actually happened at Karbala; the how, the why and the many versions of history were spoken about. Looking away is simply not an option. Posted in Uncategorized and tagged Ashoora, Ashura, Imam Hussain, Karbala, Muharram, Shia, Shia Sunii consensus building, Shia Sunni. Bookmark the permalink. For me, he is the emblem of heroism. Of wisdom. Of passion. Of love of Allah. He accepted Islam as a ten year old child, when very few were willing to risk their life. He grew up, literally, in the house of Allah’s beloved (saw). He resembled Rasool Ullah (saw) in mannerism and action. On the night of the migration from Makkah, he slept in the bed of the Prophet (saw) with the risk that the enemies may kill him in place of the Prophet (saw). Our beloved (saw) trusted Ali (ra) with his treasure, his youngest daughter Fatima (ra). He was the Prophet’s (saw) kin. While Rasool Ullah (saw) breathed his last on the chest of our mother Ayesha (ra), Ali (ra) was the one to bathe Rasool Ullah (saw) after his death. Ali was a lion in the battlefield and most humble in private life. In worship, such was he that he told people to pull out an arrow lodged in his body during salaat (namaz) because when in the presence of his Rabb in prayer, he focussed on nothing else. Ali (ra) is my hero, forever. They are all my heroes: Abu Bakr (ra) and Umar ibn Al-Khattab (ra) and Uthman bin ‘Affan (ra) and Ali (ra). Each a sparkling gem warding away darkness and showing rays of light. Each with their own beautiful unique personalities. Each chosen by God for special work. Each guiding us in their own way. Yet, with the mention of Ali (ra) the heart softens with the realization of how beloved he was to the Prophet (saw) of Allah. He is the father of Hasan (ra) and Hussain (ra), and the love of Fatima’s (ra) life. So many incidents are recorded about the beautiful way the Prophet (saw) used to solve disagreements between Ali and Fatima. One such incident resulted in Ali getting the title Abu Turaab – “The man covered with dirt” – this title was one of the dearest to Ali. For once the Prophet went to visit his daughter Fatima & he did not find Ali home. He asked about him, so Fatima told her father that she had some argument with her husband so he left home angry in the afternoon without taking his usual nap. The Prophet told someone to go & look for Ali. He came back saying that he is in the mosque. The Prophet went to him to find him lying on the floor with his dress falling off his flank which was covered with dirt. The Prophet woke him up clearing the dirt off his body & addressing him with a smile: “Wake up you who is covered with dirt”. I love the incident where Ali (ra) was fighting with an infidel on a battlefield. Ali was about to thrust his sword into the other man’s heart when all of a sudden the infidel raised his head and spit at him. Ali immediately dropped his sword, took a deep breath, and walked away. The infidel was stunned. He ran after Ali and asked him why he was letting him go. “Because I’m very angry at you,” said Ali. So Ali set the man free. The infidel was so touched that he became Ali’s friend and follower, and in time he converted to Islam of his own free will. Posted in Faith and tagged Ali ibn Abi Talib, Islam, Last Prophet, peace, Prophet Muhammad, Shia Sunii consensus building, Shia Sunni, Youm e Ali. Bookmark the permalink. 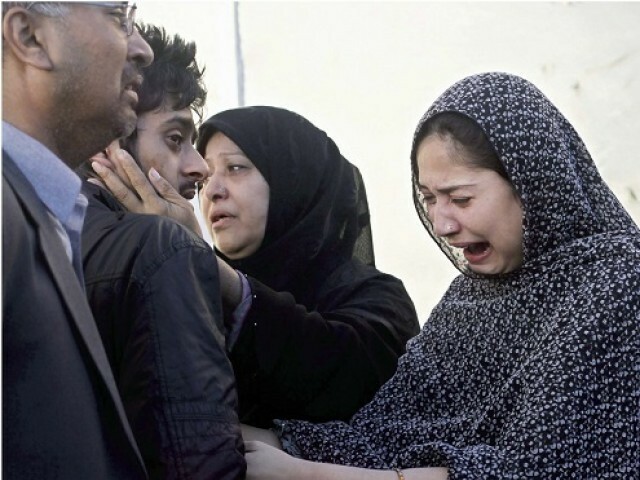 QUETTA: The bodies of 87 slain Hazaras, which had been accompanied by thousands of mourners from the Shia Hazara community on Alamdar Road for a full four days, were finally laid to rest on Monday. Some 17 bodies, unidentifiable due to the impact of the blast, wait for their families to recognise and bury them. The Hazara Town graveyard, Barory, and Ganje Shuhada graveyard, Alamdar Road, receivedthe victims of the January 10 bomb blasts that claimed more than a 100 lives, only after the community’s elders announced that the protest was officially over. Their decision followed Prime Minister Raja Pervaiz Ashraf’s announcement that some of the community’s demands would be met, including the dismissal of the provincial assembly and the imposition of governor rule. 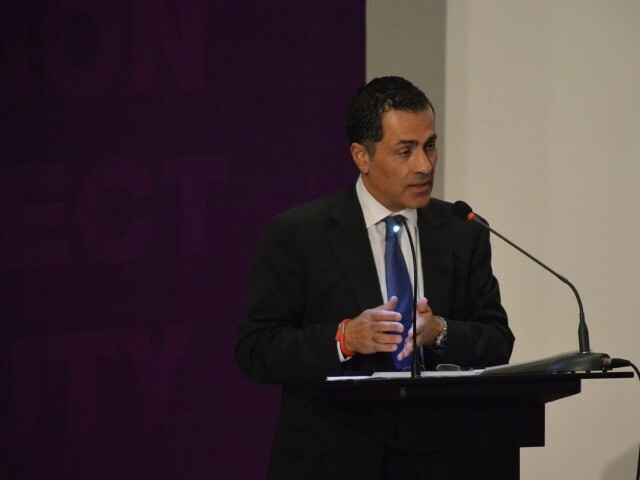 The struggle for the community, however, is far from over – this may very well just be the beginning. “We trust the decision of the elders of our tribe. However, we are wary of trusting the government’s promises. It may be just a pacifier … We have some degree of satisfaction over governor rule in the province, and (the fact that) false cases against our Hazara brothers in police stations and courts (are) being withdrawn, along with release of those Hazaras who are in prisons,” said a Hazara community member who returned home for the first time since the blast, while talking to The Express Tribune. Yet, he shared, his community was not happy with how “giving more power to Frontier Corps (FC) is being dealt with. It reeks of deception. Only time will tell”. Another member of the community pointed out that most who had lost their lives on that fateful day were young boys volunteering to save those who were injured in the initial explosion. “The first blast had fewer casualties. That was actually bait to draw as many men as possible to the site, so that a maximum number of men lose their lives in the attack,” he said. Sitting out in the freezing cold for days has left the Hazara community physically exhausted. There has been a spread of respiratory and chest infections, as well as joint aches and pains. Emotionally too, the deaths and protests have taken their toll. Yet, their resolve is unwavering. “We are not going to give up the struggle. But from the government and the people of Pakistan, all we can request is, ‘bring the culprits to task’. You all know who they are. And if you cannot do that, at least stop supporting them,” said a female Hazara activist, adding that death does not scare her any more. What has driven the besieged minority is a wave of support which brought several parts of the country to a standstill over the last few days, leaving a fearful government resorting to jamming mobile phone networks once again. Majlis Wahdatul Muslimeen Central Secretary Raja Nasir Abbas demanded of Balochistan Governor Zulfiqar Magsi to call in the army for security in Quetta. FC and police personnel, along with volunteers of the Hazara Community, were on alert as the burials took place. Later, addressing a joint press conference, Abbas along with leader of Yakjehti Council Qayyum Nazar Changezi and the head of the Hazara tribe Sardar Saadat Ali Hazara expressed gratitude towards Prime Minister Raja Pervaiz Ashraf. At the same time, they demanded that Quetta be handed over to the army, since the FC had not proved effective in the past. 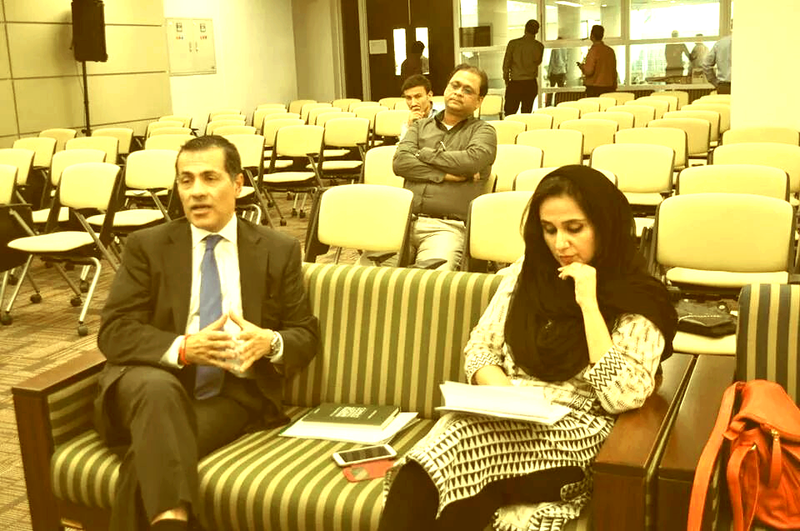 The speakers said they shared equally the grief of the journalists martyred in the bomb blast. Published in The Express Tribune, January 15th, 2013. 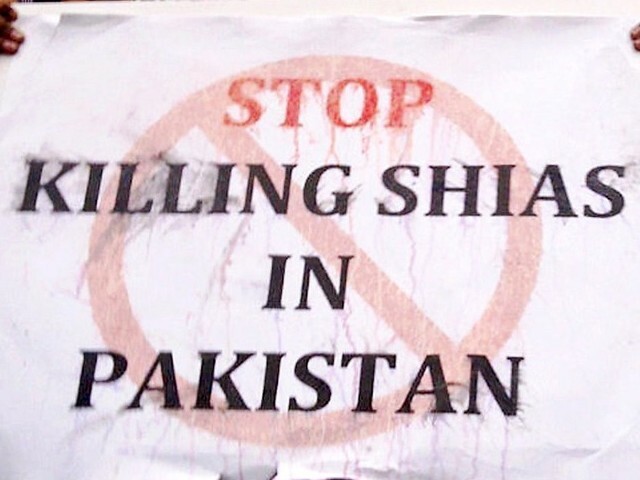 Posted in Human Rights and tagged Hazara community, Quetta, Quetta bomb blasts, Shia Genocide, Shia killings, Shia Sunni. Bookmark the permalink. “Death is waiting around the corner. Before that, I must share what it means to be a Shia Hazara. Today, I am going to share a bit of my story – the story of me and my people. When one of us comes in front of you, you mostly label us Chinese or Korean. Our complexions are not like yours, neither is our race or genetic composition. We are the ‘others’. And our pain is that of the others. We are Pakistanis but not considered a part of you. Very few will raise their voice for us, even when 27 of us are taken off a bus and are shot and killed just because we are Shias. Just because we have Mongol-like features. Just because we migrated here from Afghanistan. What is our crime, I still don’t understand. We pay taxes. We make useful things out of spare parts. We want to be peaceful contributors towards the progress of our country, Pakistan. We dream of a beautiful Pakistan where all sects and ethnicities work together towards a common goal. But what is the reality? How many of you can relate to 5 dead bodies being taken out of a house – father, brothers, sons. What do the women of that house go through? What is the future of these women? 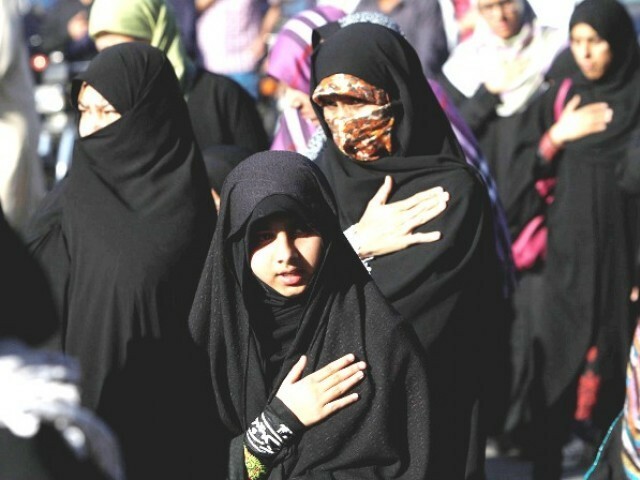 Of the Shia Hazara women? When they step outside the four walls of their homes once the men have been slaughtered, to earn a living because they have no other choice, vultures start circling. These are men who have been directly or indirectly responsible for lifting the roof off their heads. Responsible for killing the men in their lives. They offer help to these women in exchange for not cash but kind. I am one of those women. As a girl from the Shia Hazara community, I know my life is forever at risk which is why I am hidden behind a screen for my safety as I speak to you. But trust me when I say that if tomorrow I am killed, my death will not make newspaper news unless a mass massacre happens. Most killings of my community don’t make it to national news. Why do you take each other’s pictures? Mementos? We, the Hazaras, now photograph each other knowing that probably these photographs, especially of our men, will be placed on their dead bodies during their funeral. The area of the Ganj-e-Shuhada graveyard for the Hazara community is being extended. More dead than alive. And the rest a community of the living dead…constantly living in a state of fear. We are marginalized. As a working woman, I have seen better days. There was a time when I could travel to 30 districts, safely, even at night and my parents didn’t worry. Now, I cannot walk even a kilometer down from Meezan Chowk to buy something I need. A Shia Hazara girl today cannot go till the Sariyab Road, Quetta, to the Balochistan University, to get an education. Do you know what it is like to live in a constant state of fear? To be surrounded by people who are also equally afraid? When fear becomes a way of life. Even if the sound of thunder or lightning strikes, we think someone is here to attack us. If a bus is stopped by the police for checking and we are on board, we are sure that this is it – that death has arrived. My mother always used to say ‘pray for your brother. Allah listens to the prayers of a sister for her brother’. But now I sometimes think none of my prayers are being heard. There used to be a time that my community was doing so well as traders and businessmen because of fair dealings. Hazara boys and girls got jobs easily because of their efficiency and integrity. Now, fear forces us to stay at home. Even going to the hospital for treatment is an ordeal. Our dead in hospital mortuaries are also not peacefully handed over to the families till their wives go and identify the bodies. Even our children suffer. Look carefully at a Hazara child’s eyes. People ask us where is your ghairat (honour)? Why doesn’t your community fight back?Whom do we fight against? Our ignorant Muslim brother who doesn’t even know why he is killing us? And we who are being killed don’t know our crime! Political bigwigs have made statements saying ‘death is in Allah’s hands’. Why this fatalistic attitude only for the Hazaras? It is not so easy to accept the death of a little boy who dresses up for Eid namaz and goes but comes back home not alive but dead. Allah has every right to take our lives because He is our Creator. But murderers taking innocent lives, this is not by the will of Allah. This is tyranny. This is oppression. In Pakistan there are an estimated 956,000 people belonging to this community of which 600,000 live in Quetta city alone. So far, at least 1000 have been killed in terrorist attacks across the province of Balochistan. More than 1600 have received severe injuries. Many Hazara asylum seekers reach Jakarta and from there, by a perilous and risky sea journey, try and make it to the nearest Australian point, the Christmas Island, in the Indian Ocean. At least 950 have lost their lives while going to Australia. In addition, more than 300 have lost their lives while going to Europe via turkey boarder during the last one decade. 2. Hazara Town graveyard, Barory, and Ganj e Shuhada graveyard, Alamdar road. Posted in Human Rights, Women and tagged Farahnaz Zahidi Moazzam, Hazara community, Pakistan, real story, Shia Genocide, Shia Hazaras, Shia killings, Shia Sunni. Bookmark the permalink.